After packing our bags, we headed to our final tour destination – the Air and Space museum which houses many examples of aircraft including the Discovery shuttle and the Concorde. It was amazing to see the size of the shuttle! We were also able to have our photo taken as astronauts. Then we headed to the Ronald Reagan Airport and caught a flight to Detroit and then on to Los Angeles. We have checked in, eaten dinner and are waiting for our boarding call. Everyone is very tired so hopefully we will be able to sleep on the plane. It has been a wonderful experience over the past 11 days and we were thrilled to be able to visit so many incredible places particularly NASA and Washington. However, we are happy to be heading home and are very excited to be seeing our families again. With Washington being unusually hot this year, we were glad to escape to the cool air-conditioning of the Smithsonian museums. First, we went to the visitors’ centre of the Capitol Visitor Centre. We were led on a remarkable guided tour of the building, including interesting tidbits about many of the artworks we saw. The highlight was certainly the roof of the rotunda, painted with beautiful gods and goddesses surrounding George Washington. After the tour was over, we explored each of the different museums. The exhibits ranged from the evolution of man to the war veterans centre. One of the highlights was definitely having the chance to see the Hope Diamond, a truly awe-inspiring piece of jewellery. Anither remarkable experience was visiting the Air and Space museum, which tied in perfectly with our recent NASA visit. There, we saw the interior of a real spaceship and find out what’s really going on with our stars and planets. Everyone learned a lot from the museums, and would definitely love to return one day to explore anything they missed. After the museums, we ate dinner and did a spot of last-minute shopping before returning to the hotel for a much-deserved rest. After two short flights, landing at Atlanta and then Washington, we made our way to the hotel. Washington is very green at present. There are lots of trees and we have seen many squirrels in the branches. After a delicious meal of wood fired pizza, we boarded our trolley bus for a night tour of Washington. We drove past the FBI building (unmarked of course), the Library of Congress, the Washington monument, Arlington Cemetry, The Capitol Building and then the Whitehouse. The buildings Look even more spectacular lit up at night. We loved the monuments to Thomas Jefferson, Abraham Lincoln, Martin Luther King and Franklin Roosevelt and were in awe of these men. Our last stop was at the statue of the Raising of the Flag. We were happy to stand in the rain to take photos of this amazing memorial of American history. Tomorrow we head off to the Smithsonian Institution and the museums. We are very excited and looking forward to our visit to the United States Capitol Visitor Centre. worlds including Toy Story and Pirates of the Carribean. There were quite a lot of Micky ears purchased. One of our favourites was the moving, talking trash can which followed us around asking questions about dingoes. 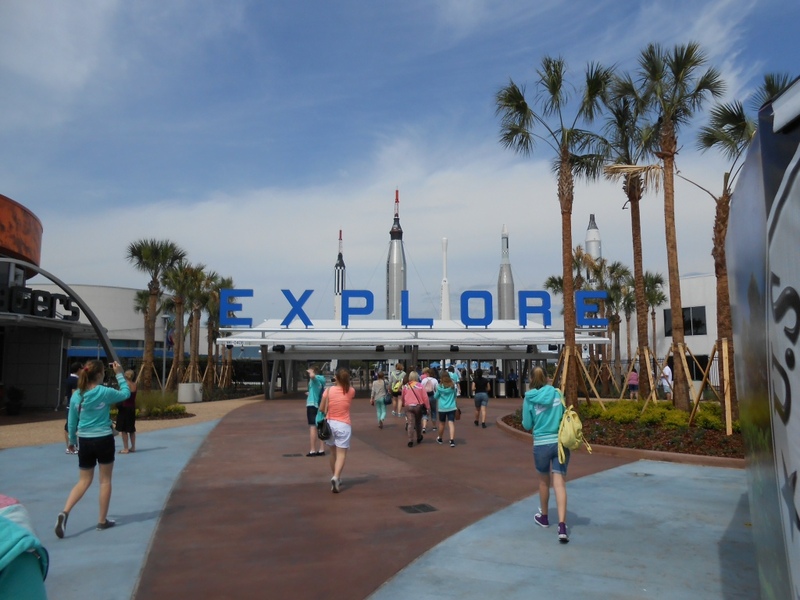 In the evening we headed to Epcot where we were able to experience a ride into outer space in a space mission simulator. This was followed by some spectacular fireworks before were finished the night at Disney Downtown. We packed and managed to stay under the baggage limits. At present we are checking our bags into the flight to Washington via Atlanta. 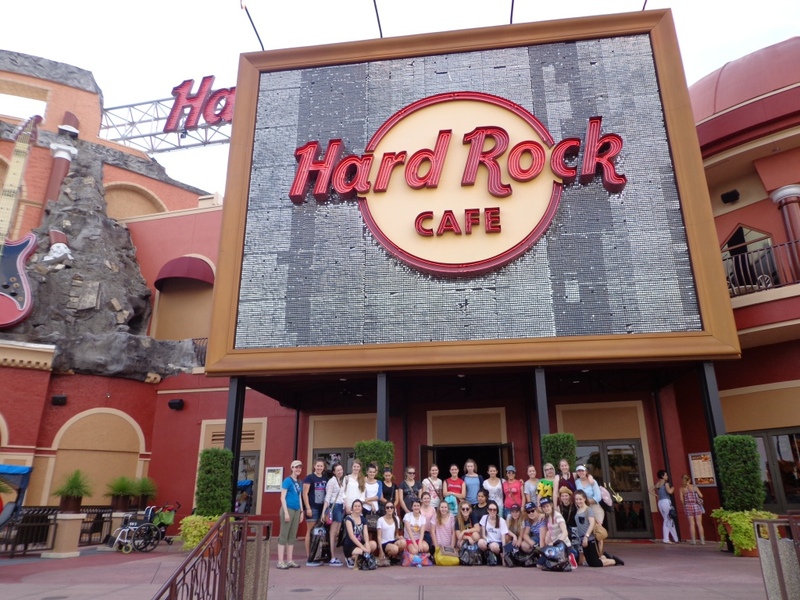 We loved our stay in Orlando; we are looking forward to our visit to Washington.